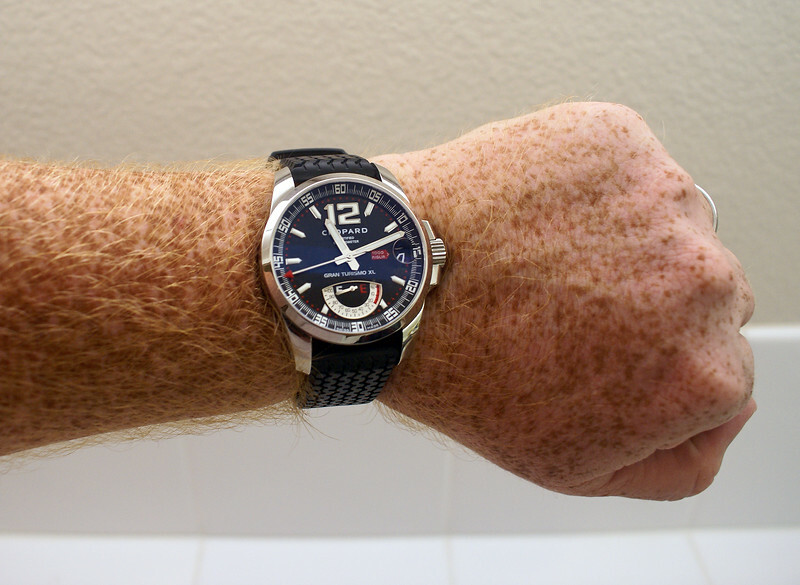 I see too many people walking around with 44mm+ watches with 6" wrists and it looks stupid. And any tourbillion worth its complication is well over $100K. I would like to get a Breguet. He invented the tourb in 1795. For any of you watch collectors near Costa Mesa, a new watch store - called the Tourbillion Boutique - recently opened up at South Coast Plaza. They have a range of tourbs from about $150K all the way up to 80 jewel models costing towards $500K. They are pretty cool about handling the watches if you look genuinely interested. Pretty cool. Last edited by Barrister; 09-26-2008 at 06:30 PM. How much is the auto AP, I saw a gold one with the honey croc strap that looked great in the boutique over at the Mallorca Port Portals. I'd take it new because I cannot find good used one's locally whats the price of a new one you just posted 15k ? Yes the AP ROO Themes with silver dial and black leather strap is what I am looking for, how would it look like with say a custom leather strap and red stitching? I see, I have a bad fetish for the extra details..if its sporty make it sportier since its not a dressy kind of watch.